Currently in our environment we are using Kiwi Sylsog server for logging events from servers and network devices. As kiwi slog server provide as the web page but limited and it cannot be visualize some thing like ELK etc. As we have a lot of data with no use, though about of some application which can integrate with kiwi sysog to visualize my events and monitor the events. The Issue has been fixed as the reason for RemoteRegistry access Denied is Our Domain environment GPO is configured the RemoteRegistry service to start as automatic but the security setting of that service is configured with no user which cause all users to access deny. Not sure, but I think if we modification the script inside /etc/init.d/openfire file it may work. 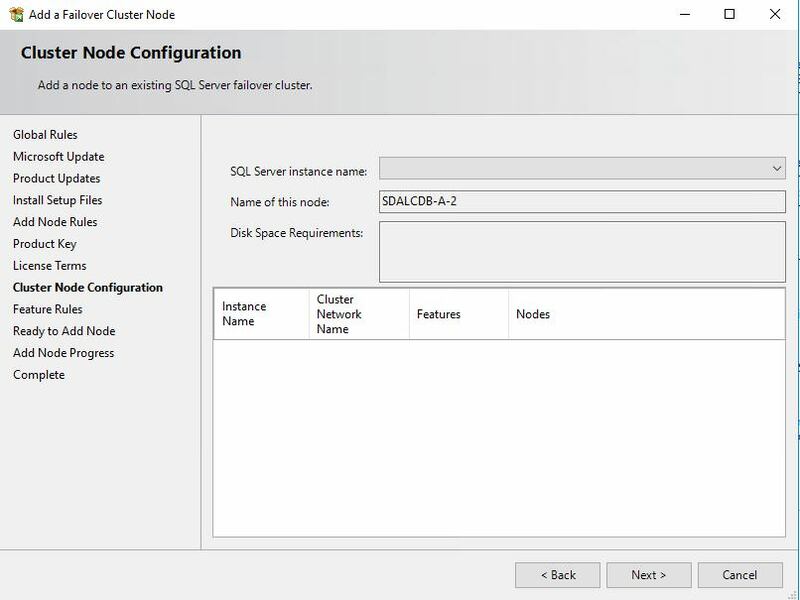 I am configuring an SQL 2016 Cluster under Windows 2016 Failover Cluster. During the process of adding node to the existing cluster, I have an issue as the SQL Cluster instance name is not showing.
" Cluster Validation Failed "OpenService 'RemoteRegistry' failed. Access is denied"
I had created a support ticket in social.technet.microsoft.com forum and configured as per their suggestion but no luck. Finally, decided to validate the Failover cluster and install the SQL 2016 cluster under domain admin account. New SQL Server failover cluster installation was successful in Node 1. But when login to Node2 for adding the node to the failover cluster , SQL Cluster instance name is not showing. systemd: PID file /var/run/openfire.pid not readable (yet?) after start. systemd: Failed to start SYSV: Openfire is an XMPP server, which is a server that facilitates XML based communication, such as chat..
systemd: Unit openfire.service entered failed state. We are having internal chat system as Openfire on 3.9.1 and we have modified some of the features and rebuild the rpm. This is the reason we are not using the latest version. This customized build is working fine in Centos 6.5 , now we are planing to upgraded the Centos to 7. While testing the Openfire on 3.9.1, we are not able to control the service through systemctl . Is Openfire on 3.9.1 is compatable with centos 7? Any workaround to make the Openfire on 3.9.1 function in centos 7? I am having issue when starting the openfire with commad " systemctl start openfire". I have installed Centos 7 minimal (CentOS Linux release 7.5.1804 (Core) ) and installed openfire-3.9.1-1.x86_64.rpm. Configured JAVA_HOME and alsl installed the libstdc++.i686.
" systemd: PID file /var/run/openfire.pid not readable (yet?) after start." Openfire is not able to control with systemctl and also with service start Openfire. May 30 20:37:15 Centos. systemd: PID file /var/run/openfire.pi d not readable (yet?) after start. May 30 20:37:15 Centos. systemd: Failed to start SYSV: Openfir e is an XMPP server, which is a server that facilitates XML based communication, such as chat..
May 30 20:37:15 Centos. systemd: Unit openfire.service entered failed state. May 30 20:37:15 Centos. systemd: openfire.service failed. Job for openfire.service failed because a configured resource limit was exceeded. See "systemctl status openfire.service" and "journalctl -xe" for details. I have setup ADFS and Configured federation with Azure. For MFA I am using Azure MFA Server and Its working fine.MFA is with SMS and OATH Method. Now I would like to test the MFA with Smartcard.